American writer Stephen King, author of more than 50 books having sold 400 million copies worldwide has just launched his newest action novel “Mr. Mercedes”. 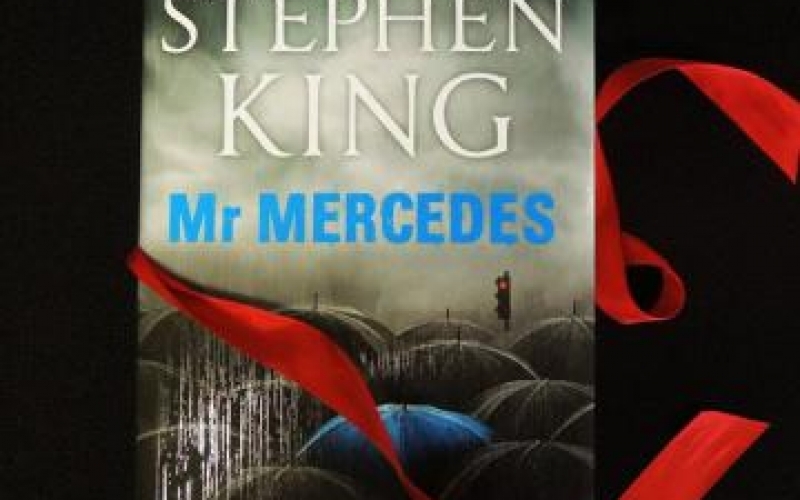 American writer Stephen King, author of more than 50 books, having sold 400 million copies worldwide, has just launched his newest thriller novel “Mr. Mercedes”. A passionate fan of the horror genre, King’s comeback is peppered with yet another battle between good and evil, trying to highlight the nature of human being. The books plumbs the depths of an obsessed assassin, with the plot being set against the backdrop of a normal American city where hundreds of unemployed people queue up before the unemployment office to get a job. After waiting in line for a long time, some of them see a Mercedes looming up at high speed. The car eventually crashes into them, leaving behind many victims. The murderer flees the scene and it’s up to retired cop Bill Hodges to solve the case. We won’t disclose further details from the book, to avoid spoilers. However, rest assure that this is another captivating story keeping the reader eye locked to the book.